Thirty years ago during the height of the United States’ HIV/AIDS epidemic, the U.S. Surgeon General, C. Everett Koop, sent informational brochures on the disease to every American household. The campaign was effective in helping shift the debate from the moral politics of intravenous drug use to the importance of prevention, such as condom use, and medical care. “No one will require more support and more love than your friend with AIDS,” Koop wrote. On Thursday, U.S. Surgeon General Jerome Adams said that Koop’s brochures have been updated for 21st-century technology—and for 21st-century health crises. “We don’t send out information by snail mail anymore,” Adams said during a conversation with Kathleen Koch, an author and journalist, and Nora Volkow, the director of the National Institute on Drug Abuse, at The Atlantic Festival. 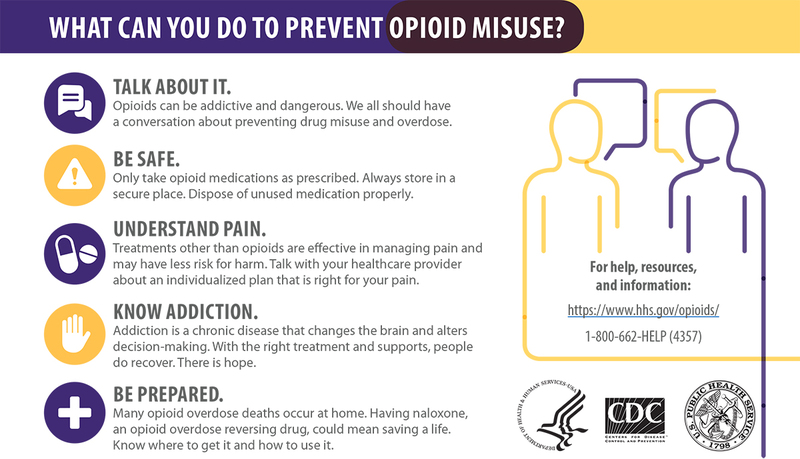 Instead, the surgeon general’s office created a digital postcard aimed at preventing opioid misuse and overdose deaths, and posted it on the office’s website for people to download and distribute. Adams’s advisory focuses on the lifesaving impact of getting naloxone into Americans’ hands, from heroin or fentanyl users to health-care practitioners. The digital postcard, which went live in September, encourages people to talk about drug misuse, advises that they take medications only as prescribed, and talk to their health-care providers about alternative pain treatments. It also explains that addiction is a chronic disease that changes the brain, and advises people to be prepared to treat overdoses with naloxone. In most states, people can receive naloxone without a patient-specific prescription. Naloxone is already stocked in some school nurses’ cabinets, and universities and veterans’ homes have already added it to their defibrillator cabinets. But the medication remains costly, which might deter individuals and institutions from stocking up. “The price is still a concern,” Adams said, but he noted that his office has put out hundreds of millions of dollars in federal funding to states and localities so that they can purchase naloxone and make it available to first responders and in pharmacies. Despite the high cost, Adams remains committed to making naloxone as readily available as defibrillators. “Until we can invent an ambulance that can teleport to your house in four minutes—because that’s how long it takes to have permanent injury from anoxia [the loss of oxygen supply to the brain seen in overdoses]—we need every single one of you to be able to respond to an opioid overdose,” Adams told the audience in Washington, D.C., on Thursday. It remains to be seen whether the increase in naloxone dispensing will translate into fewer overdose deaths in the months to come, especially if people don’t use the reversal drug or aren’t trained in how to do so. The Centers for Disease Control and Prevention will release April’s provisional overdose-death counts next month, but it will take time to see if and how overdose patterns change following the advisory and the digital postcard.